I would like to set a time, at your convenience, to talk with you about an untapped source for Scouting.� This group, the Homeschooled Youth, numbers approximately _______ in our area and includes a significant number of potential scouts and adult leaders. I value homeschooling as a way of life and have a homeschool ___ (scout rank) in the program.� I represent a group of Scouters who are also homeschoolers and we are working to reach additional boys in our area.� We are looking to meet with you and discuss this in greater detail. I thank you for your role in recognizing the opportunity to reach more of the total available youth population in this area by reaching out to the homeschoolers specifically.� Please contact me to schedule a time, at your convenience, to meet and discuss this further. 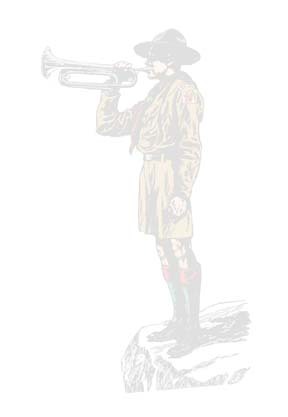 In September of 2001, a national training seminar titled Scouting for the Homeschooled was held at Philmont Training Center.� The challenge of how Scouts can reach the numbers of homeschoolers and how homeschoolers connect with Scouting was examined.� During that seminar, members of the national committee met with seminar participants and provided support and direction for homeschool scouters.� Specifically, the national training Chair, John Alline, encouraged homeschool scouters to approach local leadership directly to seek your recognition and support to promote additional participation from this segment of the youth population. One of the work products from the 2001 Scouting for the Homeschooled seminar was a job description for a District or Council Commissioner position which would focus their efforts on reaching that underserved segment of the total available youth population.� This position would assist homeschool scouts already in units and to broaden the participation in homeschool youth in the Scouting program.� This position should also be able to serve as a liaison to other volunteer and professional scout leaders in accepting additional homeschool youth into the program. We believe that Scouting can and should reach out to this untapped source of potential Scouts and adult leaders.�� To reach this special youth population of Homeschool Youth, it is apparent that non-traditional recruiting methods must be employed. Some of these methods include advertising with homeschool newsletters & publications, Homeschool Support groups, at Homeschool Book Fairs/Conventions, and by meeting with individual homeschool families.� The success of these types of efforts can be seen in a number of Districts across the country. In the Membership Committee Guide, P. 5, the role of Scouting is clear, to �Stimulate the use of the program by Special Youth Populations.�� As you know, the advantages Scouting offers to homeschoolers are enormous.� However, you may be unaware of the unique role the homeschool scout brings to the BSA.� It would increase the numbers in the BSA, plus bring additional parent participations in leadership roles who will want to be trained.� Additionally, homeschoolers could provide a Scouting presence at events held during hours when traditional school students (who are in the BSA) are unavailable. For example, they could provide flag ceremonies during the day, work as set up/tear down committees at special events, and could use BSA resources during off peak times.� This results in a relationship between Homeschoolers and BSA that is mutually beneficial. Recognize the structure, philosophy and historical perspective of Scouting.� Promote the homeschooling population as another untapped source for potential scouts who will participate in the program. Scouting has established a council committee structure recognizing the diversity of America�s beliefs, associations, and educational ideology.� Home School youth are part of the total available scouting population and you seek support for homeschool youth to participate in the Scouting program. Have something to say about this site? Post it on our guestbook!